Two years ago, I sat at my computer reading about the Join me on the Bridge campaign for the first time. 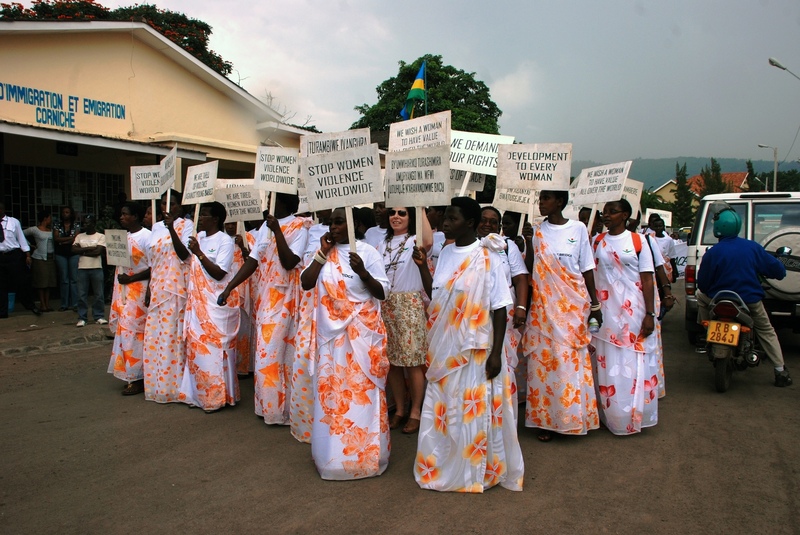 My eyes stung with tears as I read that the women in Congo and Rwanda would meet on a bridge connecting their countries to call for peace amidst a violent war. It was only as these tiny tears turned into huge dollops rolling down my cheeks that I realized something big was happening. What was it? And how could I respond especially since I felt so powerless- what could I really do? It was weird because I remember feeling no doubt that I would respond, but also feeling full of doubt as to what I could do. I know now- I’ve experienced it enough- that it is possible to feel everything at once, things that are seemingly opposites. In that moment I felt small and helpless yet alive and emboldened. All my thoughts going, “you’ve never organized an event like this, you don’t know what it’s like to live with war raging around you, you can’t change anything,” -they got trumped. On that day, I choose to listen to the knowing in my body, and despite the event being only a week out, I began to plan a small gathering on our beach walkover bridge. 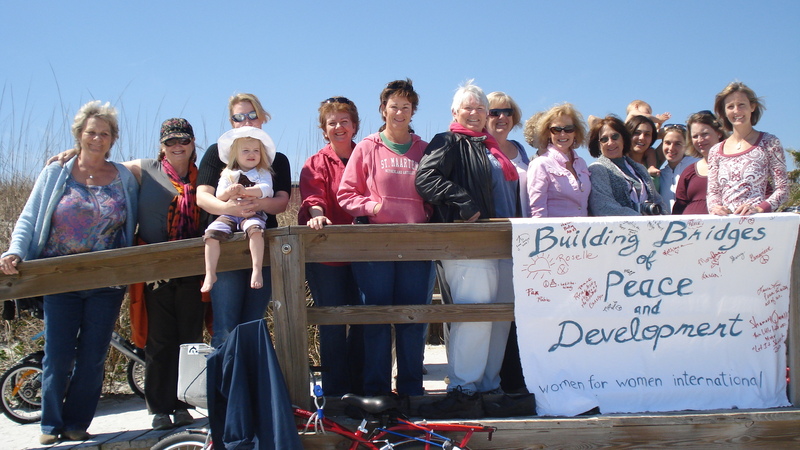 On March 8, 2010, nearly 50 women showed up and I got a taste for what happens when you choose to experience yourself in a new way. The world changes. It can be experienced in a new way too. Maybe that was what touched me so deeply when I read about the Congolese and Rwandan women. Their act was extraordinary in that despite their outer circumstances, they could choose to see things radically different. They could imagine peace. They could imagine what might happen when we connect with one another. I like to think it was my future self- the one who stood atop the Acosta Bridge in downtown Jacksonville on March 8, 2011, arm raised in celebration- who pulled me toward her that day I sat in tears at my computer. The one who saw that the world can be the place that I’ve always sensed it could be. When we show up, when we listen to the whispers of life, we begin to consciously co-create the future, and like the women in Congo, Rwanda, Afghanistan, Bosnia and everywhere the women are standing on bridges, I create a unified, peaceful and compassionate future for humanity. Following that inner knowing that you are called to connect with these women though you don’t KNOW how your efforts will help – such a powerful step! Yes! Thanks for helping me to act immediately before my mind could get in the way! I love this post and I love the image of you on the bridge, arm raised powerfully into the air! It has stuck with me since you so beautifully first described it. When I think of you, I think of what is possible. You give that gift to people just by your presence. And as I give birth to my creative offerings (my written, spoken and thought babies), you are always at my side, representing the power of possibility and the courage to go after it. Thank you for standing on the bride. So grateful to have had the opportunity to mirror your power back to you, my dear conscious evolutionary friend! Beyond grateful that you do the same for me.